In times of market volatility, investors frequently read articles pontificating to “stay the course”, “have a long-term view”, and “don’t look at your statement!”. The reasoning typically centers around the long-term performance of the stock market, which is typically good. Rarely, however, does an article cite a practical, real-world example of an investor who took that advice. For those willing to endure the numbers, now you have it. For this exercise, I will show the investor experience of an individual who participated in the government’s Thrift Savings Plan – an unqualified great plan! This investor started investing very young and had the longest of time horizons with no need for the funds invested to meet current expenses. Therefore, the investor elected to contribute 100% of all funds to the TSP C Fund, the plan’s equivalent of an S&P 500 Index fund, expense ratio .038% - that is, $3.80 per $10,000 invested. The investing beginning and end dates were July 10, 2003 and May 8, 2014. Prior to the begin date, the Thrift Savings Plan was in its infancy, and among other differences to what it is today, the plan did not have ownership shares per se, so presenting that data for this article would be a bit confusing. For simplicity, the start date roughly coincides with when the TSP shifted to a traditional share price system and a price of $10.00 per share for the C Fund. We will assume the Investor’s previous participation in the TSP serves as the initial purchase of shares. While indeed lumpy, the Investor did experience about an average annualized result over the decade examined here. Bear in mind, the 50-year performance of the S&P 500 from 1965-2015 was 9.7% annualized. 1) With equity investing, Herculean results do not require Herculean efforts. In most endeavors, effort is usually directly proportional to results - run often, eventually run farther. For most investors, the exact opposite is true. In the case illustrated here, the Investor was mostly doing his job in the military serving his country – he wasn’t analyzing annual reports, staring at 200-day moving averages, or trying to quantify the impact of the next iPhone release. Rather, he was only dutifully committed to contributing to his TSP account, which equated to pushing a few buttons on the computer a few times per year. Frequent activity, by way of trading, typically hinders long-term performance, perhaps significantly. 2) The point of maximum market pessimism is the time to hit the buy button. 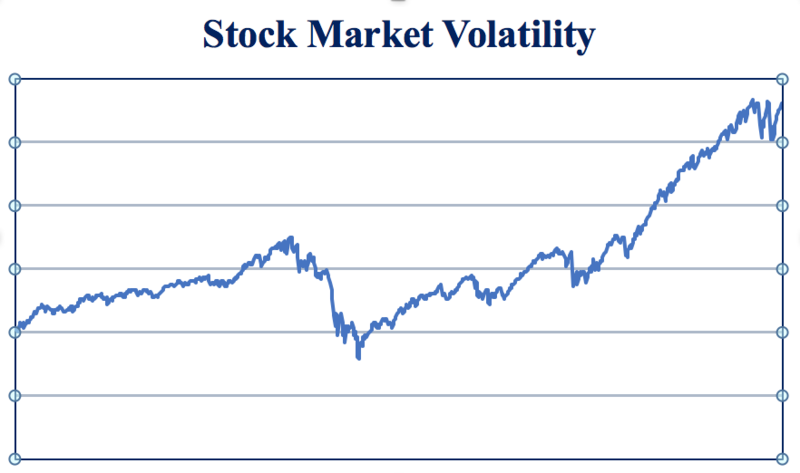 Volatility is difficult to endure, period. However, if you have the other parts of your financial plan shored up - Emergency Fund set, No credit card debt, an executable budget, and an investment asset allocation with funds at the ready to commit to equity purchases - market volatility can be your friend. When I say friend, it's not for the emotions stoked by market drops, rather, it's the prices volatility typically brings. Most people jump at the chance to buy merchandise "On Sale"; however, paradoxically, this thinking doesn't translate to stocks. For those properly prepared for the next inevitable market setback, outstanding long-term results typically await - the example above had average purchase prices in 2009 of $8.57 per share with a final per share value of $24.50, a truly spectacular 5-year result. 3) In the stock market, you must have an unemotional iron will. Markets always have and will almost undoubtedly continue to do wild things. Moreover, markets are at times guided by emotion. In any given year, or set of years, the value line can be exceptionally squiggly. In the long-term, which is the way an investor must think when committing funds to equities, the trend is “up and to the right”. To experience this result, you must be mentally prepared for the swings because they are certainly coming and you can't be swayed by them. 4) The S&P 500 is a great place to start. Despite the frequent criticism we take, the United States remains the unequaled world-wide champion of capitalism. And the collection of companies in the S&P 500, while obviously not all-inclusive, collectively represent the finest set of capitalists in the world. When you invest in this group, you have 500 CEOs and all their colleagues going to work for you every day - and you need not lift a finger to help. Rather, you can just sit back and ride the wave at a minimum expense. Taking a sidecar investing philosophy in equity markets can be a great force multiplier for your capital. There you have it – a practical example of staying the course in the most turbulent of recent times. I hope this encourages all investors to take the long view with their equity investing and not be shaken off the horse at the next bend in the trail….staying in the saddle can seriously increase your net worth over time.